Bagnères-de-Luchon this afternoon, and with it the lead in the King of the Mountains classification. Voeckler broke clear on the stage’s final climb, the Col de Peyresourde, having been in a day-long breakaway. As well as the stage win, he took maximum points on the day’s four-categorised climbs to move into the polka dot jersey tomorrow. However, the story of the day came in the collapse of defending Tour champion Cadel Evans, who finished 4-48 behind race leader Bradley Wiggins, Chris Froome and Liquigas-Cannondale’s Vincenzo Nibali. Evans cracked under Team Sky’s pace on the Col d’Aspin and, despite rejoining the peloton before the Peyresourde, the Australian was distanced permanently after the combined efforts of Liquigas and Lotto-Belisol. He slips to seventh overall, over eight minutes behind Wiggins, with even a podium finish looking unlikely. 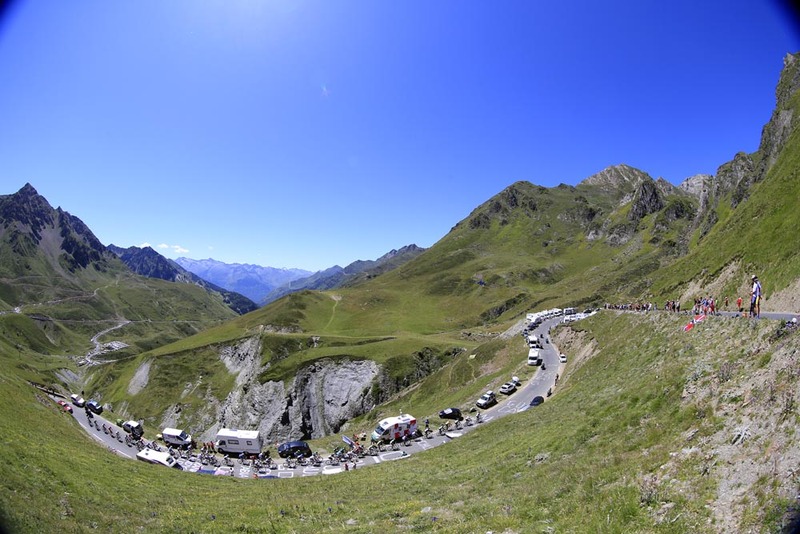 A group of 38 riders broke clear 20km in to the day’s 197km stage, although the efforts of Irishman Dan Martin (Garmin-Sharp) split the breakaway up on the Col du Tourmalet. King of the Mountains leader Frederik Kessiakoff (Astana) was in the group, as was Voeckler, who was clearly after snatching the polka dot jersey away from the Dane. Towards the top of the climb, Martin, Voeckler and Brice Feillu (Saur-Sojasun) distanced their remaining rivals. Martin then paid for his efforts as the two French riders dropped him at the top of the Tourmalet. Voeckler and Feillu worked well together, but the former showed his strength when he attacked his breakaway companion on the Peyresourde with 21km remaining. Feillu was then caught and passed by Chris Anker Sorensen (Saxo Bank-Tinkoff Bank), Gorka Iziguirre (Euskaltel-Euskadi) and Alexandre Vinokourov, who themselves had been in the original breakaway. Sorensen hovered around a minute behind Voeckler, but the Frenchman pushed hard on the 16km-long descent in Bagnères-de-Luchon to seal another impressive victory. Even though Evans was distanced, Nibali was not content to merely settle for third place overall. He attacked on the higher slopes of the Peyresourde, which was enough to shell everyone but Wiggins and Froome out. 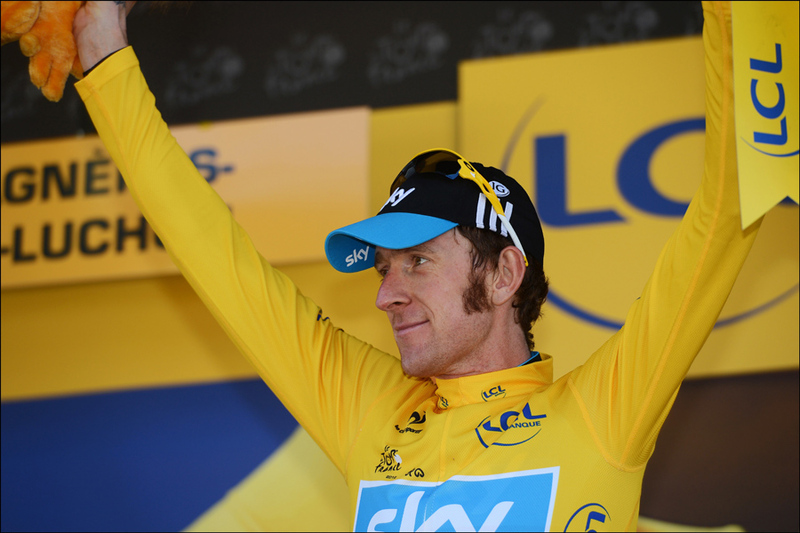 Once the Sky duo had caught him, Nibali chanced his arm once again, but the Brits weren’t in a forgiving mood. They rode into the finish together, crossing the line 7-08 behind Voeckler. BMC decided not to pull white jersey leader Tejay Van Garderen back to work for Evans, and not only did the American finish within a minute of the Wiggins group, he moved ahead of his team-mate on GC. He retains his lead in that classification, as does Peter Sagan in the points competition. 9. Gianpaulo Caruso (Ita) Katusha all at st.
13. Chris Froome (GBr) Team Sky all at st.